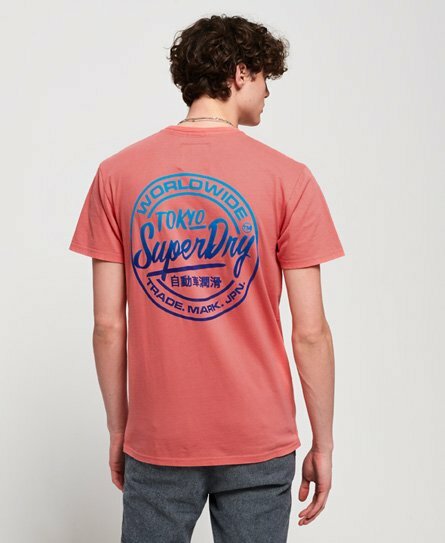 Superdry men’s Ticket type oversized fit t-shirt. A staple on trend tee for any man’s wardrobe, the ticket type tee is a great oversized option to wear on its own or style for a layered look. This tee features a crew neckline, short sleeves and a cracked effect Superdry logo on the chest. Team this tee with ripped jeans and boots for a more adventurous look, or style with some of our joggers and trainers for an off-duty outfit.